Professional Installation of pavers and retaining walls- A well-chosen and properly installed driveway, patio, pool deck, walkway or retaining wall can add to the aesthetic appeal of your home, create opportunities for landscaping focal points, and significantly increase the value of your property. When you hire Legacy Custom Pavers, you are dealing directly with a family owned and operated business that specializes in the professional installation of interlocking pavers for patios, driveways, pool decks and walkways. We are an Award Winning Dallas based Company, Family Owned and Operated with over 20 years Concrete experience. During my years in construction I saw a great need for a professional and reliable concrete company to assist homeowners with their concrete projects. 20 years ago we started with repairing sidewalks and patios. We gradually grew with replacements of driveways and foundations. Since, we have added Hardscapes with landscaping accents. We handle all permitting and bonding for all projects. Contact us today to discuss your project in more detail. We're paving North Texas! That means getting out of the mud, putting a stop to the bumps, and providing curb appeal to rural properties, ranches, horse properties, and commercial properties that are off the beaten path. 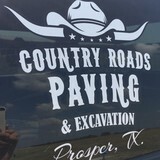 New driveways and culverts Driveway repair, grading or refresh Hot mix overlays RV, boat or trailer pads Metal building or horse stall flooring Land clearing, pond fill, erosion control Seal coating & lot striping Rock deliveries & much more! 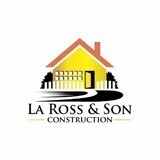 "La Ross and Son Concrete Construction is veteran owned company that was established in 2000. 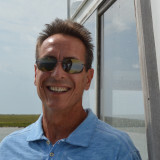 Our company mission is to become the concrete driveway contractor that puts a smile on each and every customer’s face. Our attention to detail and superior customer service make us stand out from the other concrete company. Our Concrete contractors are specialize in Concrete driveways, patios, walkways and side walks. We are the concrete driveway experts! La Ross and Son Concrete service areas include Lacombe, La Slidell, La Mandeville, LA Madisonville, La Abita Springs, Metarie, La Covington, La Dallas, TX Mansfield, TX Arlington, TX Burleson, TX Midlothian, TX Cedar Hill, TX . Call Toll Free Today 985-205-8808." Our Paving company provides commercial, industrial, and residential paving, specializing in all types of paving including Walkways, Patios, Retaining Walls, driveways, parking lots, roadways or any other surface that requires Interlocking Pavers and Retaining Walls. At Flume Construction we believe it is not the beauty of a building you should look at; its the construction of the foundation that will stand the test of time. SPECIALISTS IN FOUNDATIONS, DRIVEWAYS AND CONCRETE WALLS Our company is insured for 2 million dollars and does foundation work for three of the top 20 home builders in the US. We have insurance damage coverage of $2,000,000 and accept credit cards. At Dallas Asphalt Paving, we’re proud of the paving installation and repair work we offer to Dallas homeowners and businesses, and of our 45 years of successful service in the industry. Dallas Asphalt Paving is locally owned and operated, allowing us to give every Dallas area customer the same personalized, meticulous attention to detail they deserve, no matter the size of their driveway or parking lot. The highly-skilled and experienced paving experts at Dallas Asphalt Paving stand behind their work, offering a full 1-year warranty on all asphalt installation and repairs. We also boast a long history of stellar, five-star reviews from past customers, and work hard to ensure that every new customer is just as happy with our asphalt installation or repair work! No job is too big and no job is too small for the experts at Dallas Asphalt Paving. After decades of service in the Dallas area, we know the abuses suffered by pavement under the hot Texas sun and the area’s extremes in weather. Proper, regular sealcoating by the paving experts at Dallas Asphalt Paving will protect your exterior surfaces from early wear and ensure its color is vibrant and true. If your asphalt is already showing signs of wear or suffering cracks and potholes, our repair experts offer the best patching and repaving services in the area, easily bringing that pavement back to life and creating a safe surface for pedestrians and vehicle traffic. Whether your property needs a full tear-out or a light chip seal, the paving pros at Dallas Asphalt Paving handle it all. Not sure the best solution for your damaged driveway or parking lot? Let us help! At Dallas Asphalt Paving we believe that customer satisfaction is job one, and we know that many homeowners and commercial business owners aren’t familiar with their options for repairing or repaving their property’s exterior. Our paving experts will examine the condition of your current asphalt and help you decide on a repair or replacement option that is safe yet affordable. Never put off asphalt repairs for your property or avoid the installation of fresh asphalt when needed. At Dallas Asphalt Paving, we work with every budget and every type of property, ensuring that you have a driveway or parking lot that is safe and in good repair for years to come. Schulz Construction is a quality focused woman owned business specializing on residential and commercial new and restoration projects. From the smallest residential driveway or patio repair to parking garage remediation, we focus on helping owners enjoy and improve their home and business investments. Epic Pavers creates beautifully designed walkways, steps, patios and landscapes using pavers. Adding pavers to any area has many benefits. Besides creating a beautiful area to look at, pavers can help increase the value of your home, walkways keep guests from trampling through your yard, patios add an area to entertain, and can take a boring pool and make it a beautiful pool. Epic Pavers is a sister company of Landscaping by Anthony. All pavers are professionally installed by Landscaping by Anthony. With over 10 years of experience and hundreds of satisfied clients any custom idea or design that you have in mind we can do. Pavers have so many benefits and overall just create a beautiful area whether with a walkway or a patio. Homeowners in Westlake often don’t realize just how important a driveway is when it comes to curb appeal; it’s one of the first things guests see when they arrive and one of the last when they leave. So if your front drive is damaged or you want to switch from, say, a gravel driveway to an asphalt one, hire a Westlake, TX driveway installation and maintenance professional to help you create your dream driveway. From installation to repair, Westlake, TX driveway contractors are responsible for a variety of planning, installation, construction and driveway maintenance services. Driveway materials. While most driveway contractors in Westlake, TX primarily work with asphalt, they are also experts on the wide range of available driveway materials. If you are looking for something different than a standard asphalt driveway, your pro can help you select driveway pavers or customize a brick driveway design. A driveway installation and maintenance professional may work closely with a Westlake, TX builder, landscape professional or various manufacturers and suppliers. Find a Westlake, TX driveway installation and maintenance professional on Houzz. 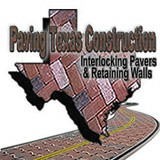 Narrow your search in the Professionals section of the website to Westlake, TX driveway installation and maintenance. You may also look through Westlake, TX photos to find examples of driveways that you like, then contact the professional or contractor who worked on them.